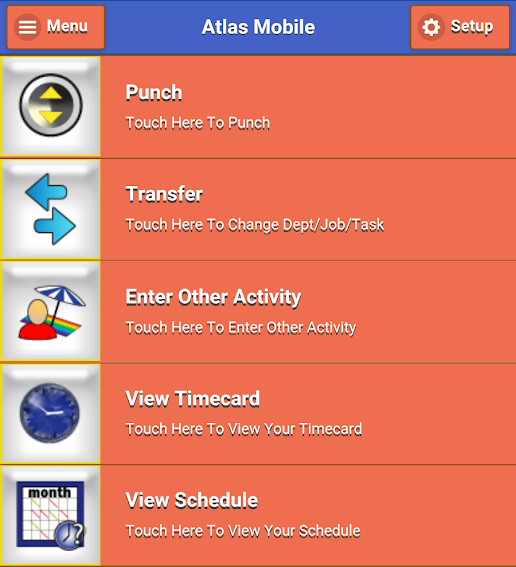 The InfiniTime Atlas Mobile smartphone application is the latest in mobile application technology. 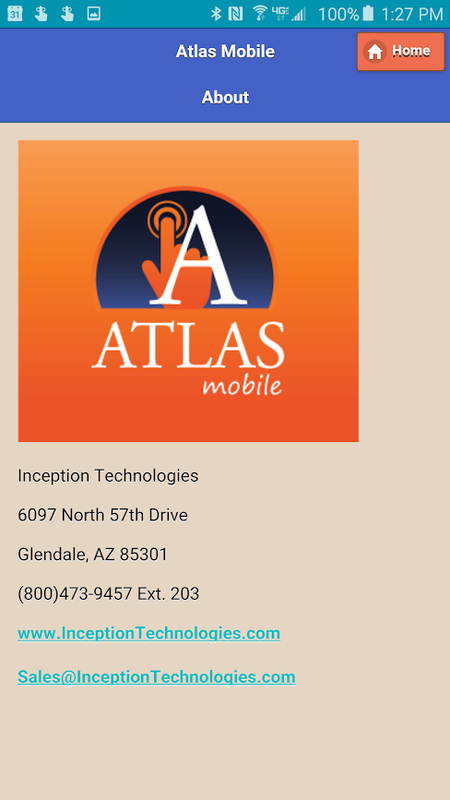 Not only does the InfiniTime Atlas Mobile smartphone application have a modern and easy to use interface, it is highly configurable to the needs of today’s business needs. 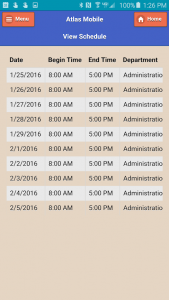 The application is available in the Google Play Store and in the Apple App Store. 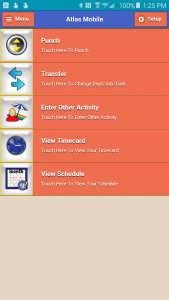 The InfiniTime Atlas Mobile smartphone application has many modern features. The application can be configured for Geo-Tagging, Geo-Fencing, and Geo-Punching. With Geo-Tagging each punch that is made with the application can store the GPS location of the punch. 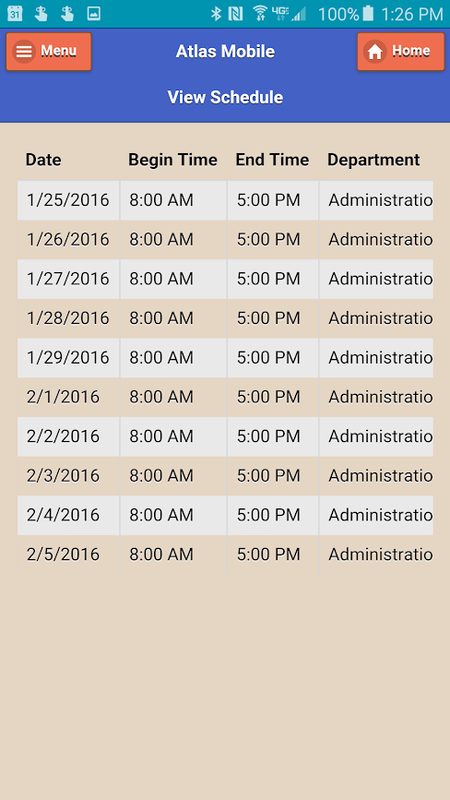 On the InfiniTime timecard a map can be displayed to show exactly where the punch was made. Geo-Fencing allows the application to limit the employee to only be allowed to punch within 300 yards of management approved addresses. Geo-Punching allows the application to automatically punch an employee in and out based on their location to management approved addresses. The InfiniTime Atlas Mobile smartphone application is simple and easy to operate. 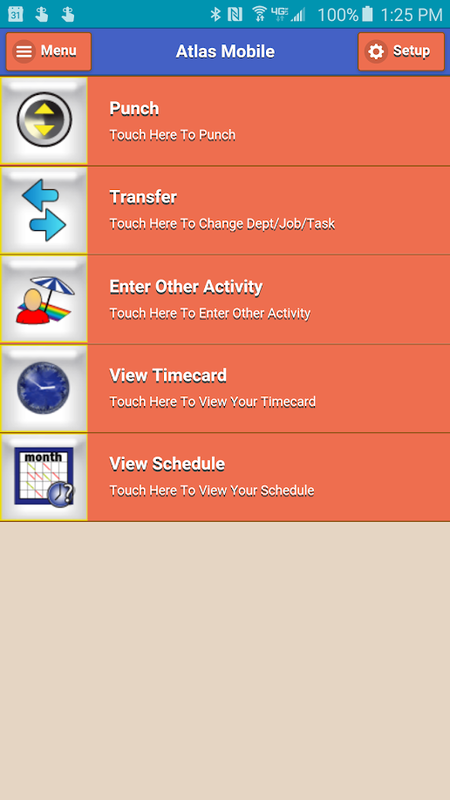 The modern application is available for iPhones and phones running Android. 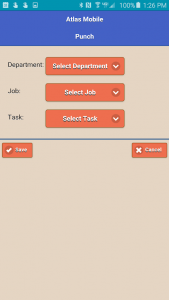 Employees simply install the application on their smart-phone. After entering an authorization code and their clock id and password the user is presented with the options that they are allowed to use. The options are configured in InfiniTime and any can be disabled or enabled. 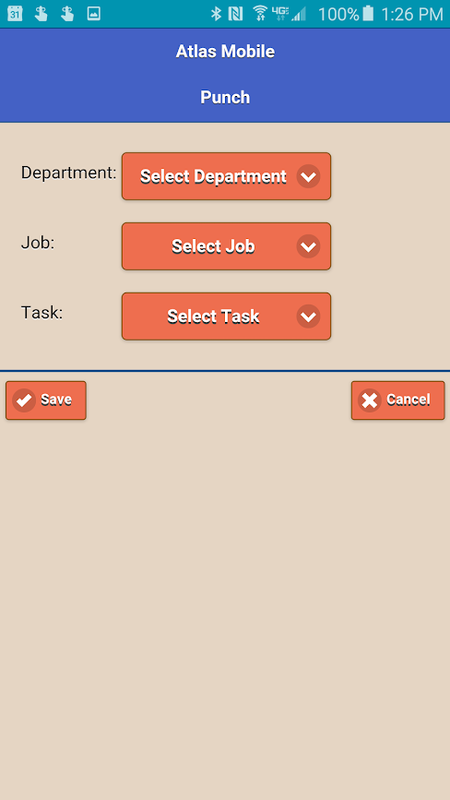 This makes it possible for different options to be given to different employee groups to allow them to have the options that they need. Quickly Enter Tips, Miles, Commission, etc.